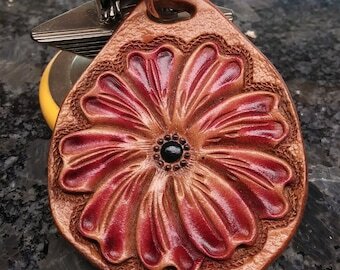 Handmade leather charms has been my new project suggested by a brilliant visionary client. 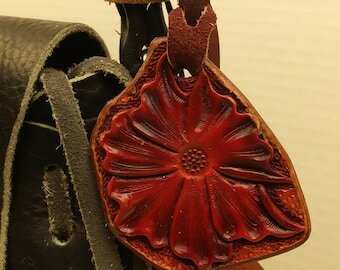 Starting with 12 oz.saddle skirting leather glued to calfskin leather to with stand your luxurious handbag these charms are going to rest against. It's buttery and full of suppleness. 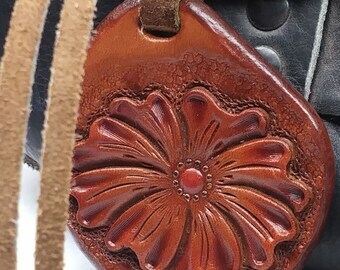 The attachment straps is a tan colored premium vegetable tanned leather. 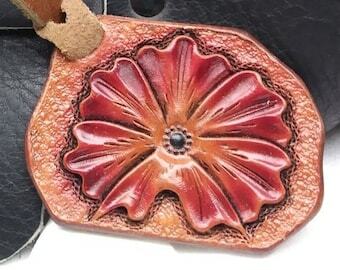 It measures 5/16" wide by 6 1/2 after being choked onto the charm. It has a longitudinal slit so you can choke the charm around your bag handles. Each strap I hand cut and do a strength test and do a double check on the piece being supple. 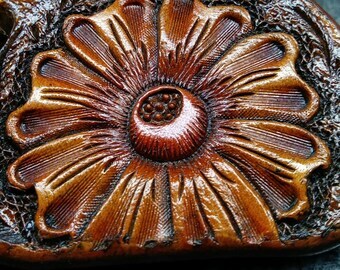 The charm has a gorgeously hand tooled flower, oiled, then airbrushed in yellow with a red fading orange to the yellow. 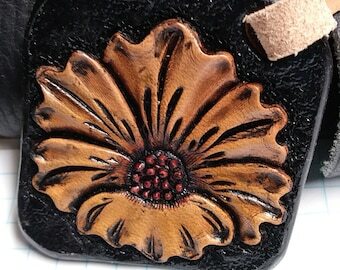 The pistils are hand dyed in black spirit dye. 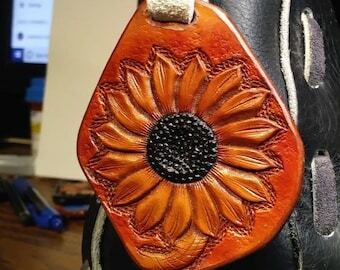 The edges are beveled burnished to perfection. Apply accent cuts and entirely top coat finish with a resolene which has a built U.V. resistance. 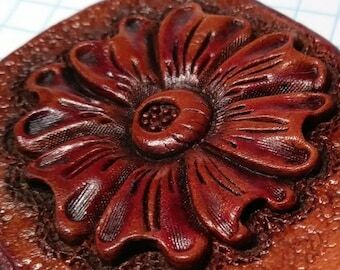 Next I apply a highlighter for even a greater depth to give this flower a life like appearance. 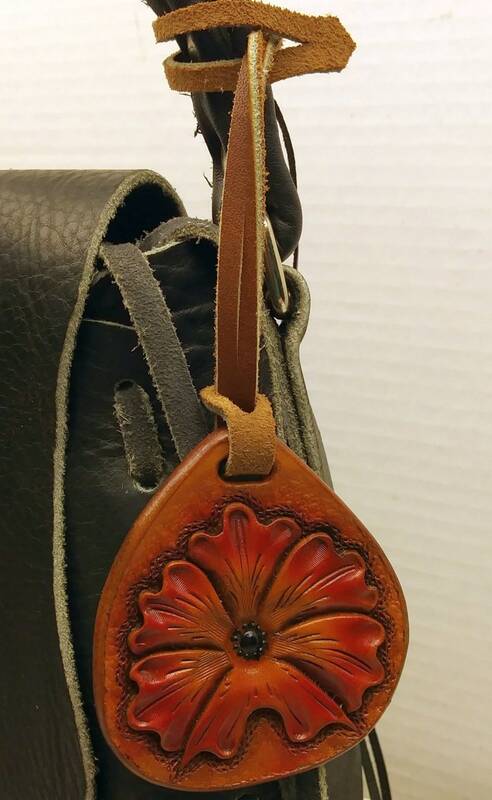 Once again one more coat of top finish for charm and strap to guarantee years of beauty and fashion. It's overall measurement is 2 3/8" by 8 3/4". If you need a shorter attachment strap, drop me a note please.